This paper deals with crises in business context and within modern business organizations and communities. The issues are, however, relevant also for other kinds of organizations including public civil service and third sector organizations. Crisis management is considered in relationship with quality management and other related managerial issues. Turbulent business environments aggravate business crises. This has even caused a serious crisis in quality management. Crises are in human minds not in organizations. Business leaders and managers have personal responsibility in business crises. They confront with business realities in a way that requires business their self-management. Crises are opportunities to business improvements. Strategic business crises require decisive business transformations. Crisis is in general a stage in a sequence of events at which the trend of future events and performance is determined. This may mean improvement, keeping status quo, or deterioration. Figure 1. Crisis is a turning point leading to a new decision-based performance. The word crisis originates from Greek krísis meaning decision. One type of decision is also if one leaves undone a decision. 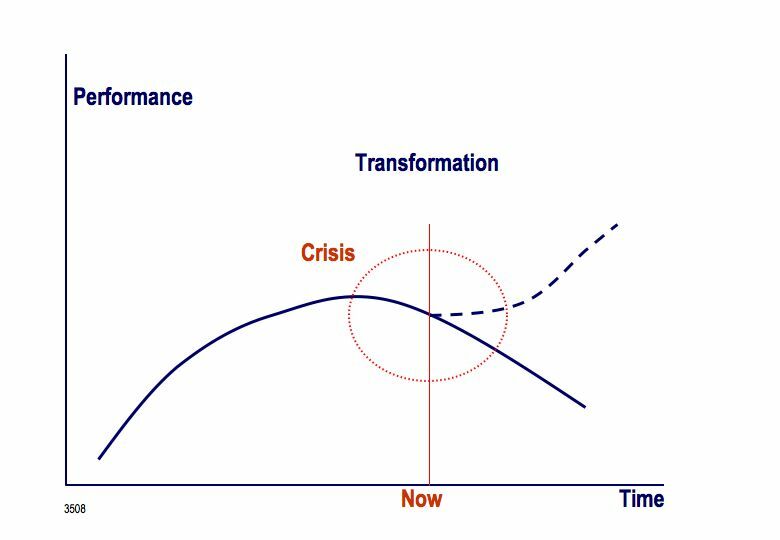 Crisis is a turning point leading to a new decision-based performance (Figure 1). Crises are always in human minds not in organizations. Scope and responsibility in business crises vary. Business crises relate to events and situations within, between or among organizations. There may be crises at different levels in the organization and to various extent related either to operational management or to strategic management. In all crises there are many different (and even independent) involved parties. - An individual journalist Flemming Rose published in the Danish newspaper Jyllands-Posten on 30 September 2005 Prophet Mohammad cartoons that finally caused big problems to Danish food business and even a global controversy between Christian and Islamic communities. - Large common-mode phenomena, e.g. green house development, Al-Gaida network, Suoth-East Asian tsunami, and Hurricane Katrina had big inpacts to activities of nations, organizations, and individuals. Figure 2. 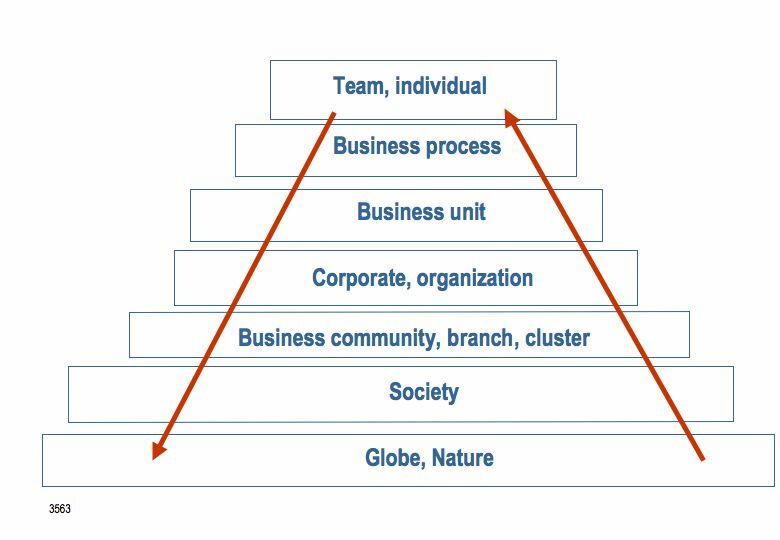 Crises may expand from top to down in an organization, to other networked organizations, or to the business community or society as a whole – or vice versa. There are many cases where voluntary networked resources (e.g. “open source ecosystem”, “peer production”, and “crowdsourcing”) have created for organizations in their business challenges remarkable achievements and enhanced business opportunities. Examples include open source software and IT services, pharmaceutical products, e-commerce components and systems, automotive products, etc. Crisis management and quality management are very analogical managerial issues. These concepts may also be defined similarly. According to the ISO 9000 standard definition quality management means: Coordinated activities to direct and control an organization with regard to quality. It should be emphasized that according to this definition quality management is not management of quality but quality of an organizational management. The key issue is how an organization is being managed as a whole. Correspondingly (business) crisis management may be defined as Coordinated activities to direct and control an organization with regard to (business) crises. Factually crisis management is a part of quality of management (= quality management). Crisis management is a responsibility of the business management, and it takes place through the managing actions of business leaders. Experts have assisting roles both in quality management and crisis management. Effective cooperation of different experts and business leaders is strongly recommended. 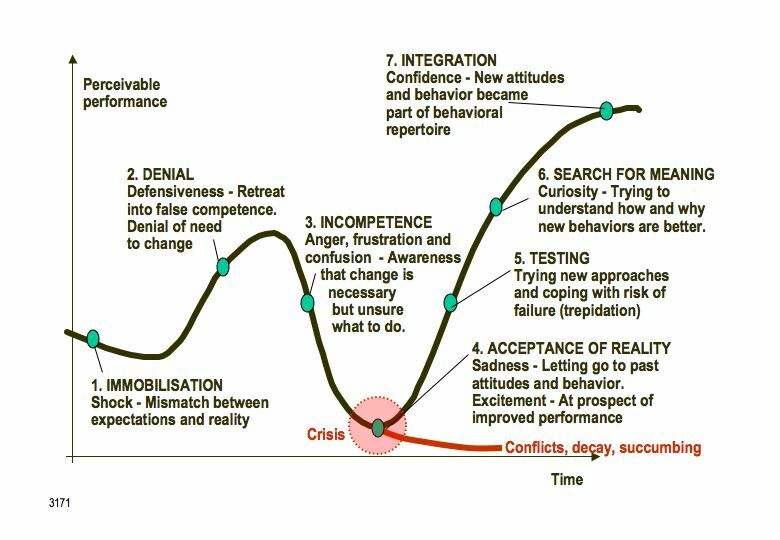 There is a serious challenge to quality management experts to serve organizations within modern business realities and environments - and particularly in crisis situations. - Changes in work ethic, in our attitudes toward merit and talent, in public and private institutions (“specter of uselessness”). - Craftsmanship and getting the job right seen as negatively wasteful and obsessive. These are existing trends today in our society. We can't change, avoid, or dismiss them. In these kinds of conditions prevailing ”one-track” quality management means have not a lot to help organizations in their businesses. They cannot provide appropriate help either for crisis management or even for quality management. In fact, there is a crisis in quality management itself and that needs decisive measures to be solved. Recent studies have also revealed crucial needs for transformation within the quality management profession. These factors indeed create implications to quality concept, organizations, and the quality profession as a whole. Based on the results of the study the preferred scenario proposed “Global adaptation: Evolution toward a synergistic society”. a) There are in the organization's business environment quick changes and fluctuation that are necessary to be responded by the organization. b) Time, speed and agility aspects and fulfilling timeliness requirements are critical in the organization business success. c) The organization has awareness and learning programs that address time, speed and agility aspects. The results of this study also reveal the need for transformation for the quality management and assurance standardization and the whole quality profession. E.g. the survey respondents recognized facts a) and b) very relevant and significant in their businesses. However, the item c) was poorly realized in practice in their organizations, and their opinion was also that existing standards or other quality management reference models support very little these aspects. The recent trends in business environments increase uncertainty, variety, variability, and dynamics in all areas of business management and therefore also aggravate business crises. This is a big challenge to business leaders and also to quality experts in order to help professionally businesses for quality of management in today's turbulent business environments. Crisis management (as well as quality management) are very closely linked with risk management, vulnerability management, conflict management, and business continuity management. However, these topics are often seen as separated managerial issues apart from crisis management and quality management. Most of these references and guides propose complicated and heavy solutions that are distinct from normal business management routines and therefore easily further add confusion among business leaders. Many of these guides strive only for reactive actions to keep status quo, prevent, mitigate, prepare, response, and recover in the cases of disasters or emergencies. However, real need in organizations is for practical and simple business-integrated methodology that help organizations aim at radical and proactive strategic transformations of business performance in crisis situations. 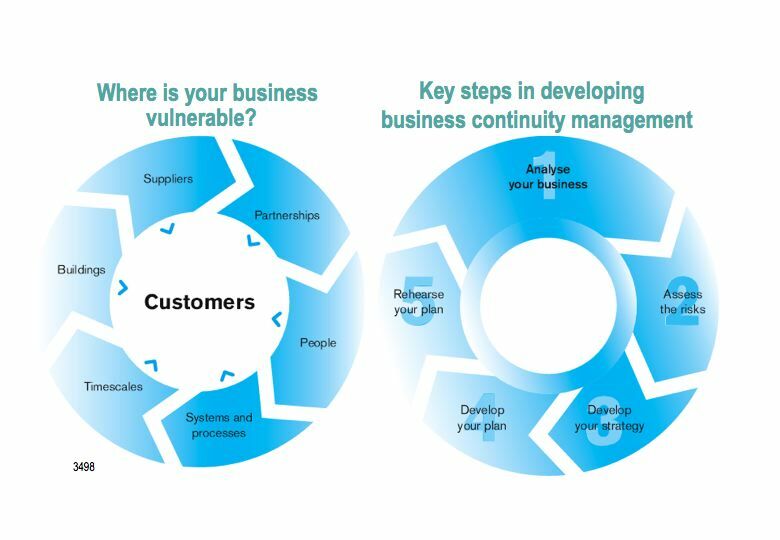 The business continuity guide of London First is, however, simple and practical and therefore highly recommended (Figure 3). It also relects the ideas of the PDCA model known by the quality professionals. Business leaders and managers have the personal responsibility in business crises. One of the most obvious characteristics of our modern society and all kinds of organizational activities is the immense haste of business people. This is a major threat to organizations’ performance including crisis management and quality of management. This has detrimental effect on managing organizations in crises and interfering crises solutions. D. Seghezzi has illustrated the development of human actions – particularly in business management – in terms of “Time Scissors” (Figure 4) . He brought to light an essential perspective on reasons why we are always in a hurry. This is because of working life and, in particular, the context, in which organizations and their management operate have become more complex. The amount of time factually required for a certain act of management has increased significantly during the recent decades, because the equipment, systems and phenomena involved have become much more complex. By the same token, the amount of time that a person has for one task of management has become shorter, as there is a lot more that one has to get done in the course of a day. One may easily find examples from daily news how human mistakes - mainly due to shortage of time - have caused serious situations of crises. Lack of time also causes businesses to lose their identity. What is more, there is no time for innovation either; the sources of innovation dry up. Poor crisis management may cause that business crises develop towards conflicts. According to P. Niemi (University of Turku) “people’s mental performance and ability to work often crumble when things get complicated, as this also means great uncertainty”. In fact, this is a good recipe for a quality of leadership. Transformation is the success factor in a strategic business crisis. 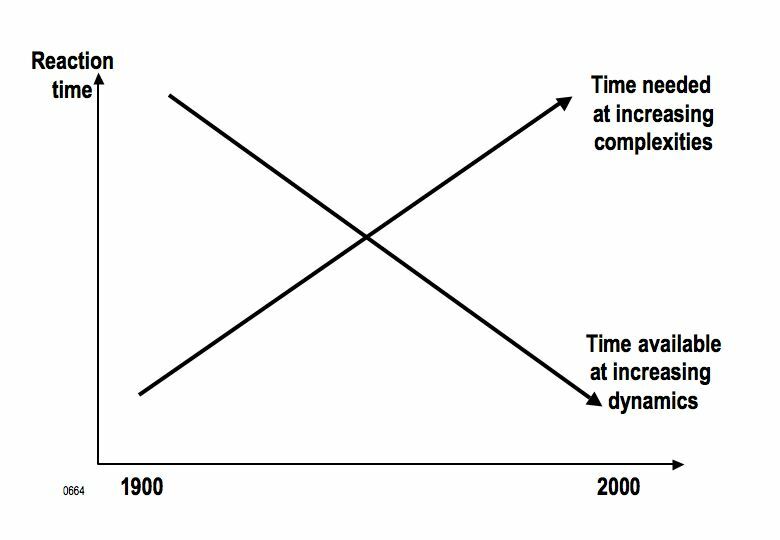 In strategic crisis there is a need for a large-scale breakthrough change (Figure 5) in organization’s performance. 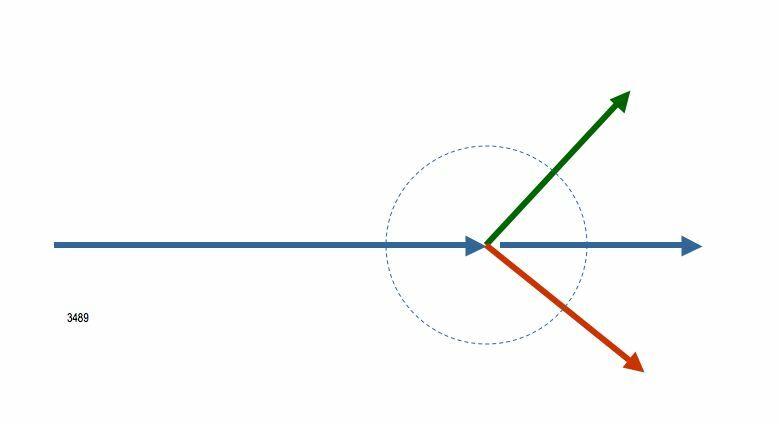 Transformation is a radical discontinuous change. Transformation means change of form, shape or appearance. The Greek word metanoia may be more suitable than transformation. It means penitence, repentance, reorientation of one’s way of life. Basically it is a spiritual conversion because factually business crises are essentially in human minds. Transformations are initiated and managed from the strategic (top management) level of an organization. Transformations do not happen spontaneously but by decisive actions. 6. Search for meaning: Curiosity. Trying to understand how and why new behaviors are better. Especially the phase 4 is crucial for solving business crises because it makes it possible to approach phases 5 to 7 successfully and facilitate organizational learning. Innovative quality management methodology may help managing all these tranformation phases. Business crises are turning points in decisive changes in business priorities. Crises may be initiated at any organizational level and expand to any other level within the organization or to organization’s stakeholders and environment. Real business circumstances should be taken into account in managers’ reflections for actions against crises in order to avoid random drifting or superficial solutions. Turbulent and uncertain business environments and haste aggravate business crises and impede their solutions. Business leaders’ self-management and sound management practices by using profound general and contextual information and knowledge are steadfast bases in confronting business crises. Crisis management should be embedded within normal business management activities by the business leaders’ responsibility and understood as a part of integrated quality management approach. Appropriate quality tools may be useful. Operational crises may be solved by rational control and improvement measures and appropriate methodologies. Strategic crises may be solved only by innovative business breakthrough transformations. Today organizations and business leaders should be able to live continuously with crises. Business crises are opportunities for real business improvements but also risks for losing the business. Each organization should develop and maintain its principles and methodologies for crisis management according to organization’s business needs. 7. Tapscott, D., Williams, A.D. (2008): Wikinomics. How mass collaboration changes everything. Penguin Group. New York. 9. Sennett. R. (2006). The Culture of the New Capitalism. Yale University Press, New Haven & London. 21. Seghezzi, H. D. (1993). Europe as part of the triad. Proceedings of the EOQ 93 World Quality Congress Vol. 1. Helsinki. 25. Niemi, P. (2007). Henkisen suorituskyvyn rajat (Frontiers of the mental performance), Science Days: Helsinki University (In Finnish). Helsinki. 26. Goleman, D. (1997). Emotional intelligence. Batam Books, New York. 28. Zohar, D. (1997). Rewiring the corporate brain. Berrett-Koehler Publisher. San Francisco. 31. Shiba, S. and Walden, D. (2006). Breakthrough management. Confederation of Indian Industry. New Delhi.